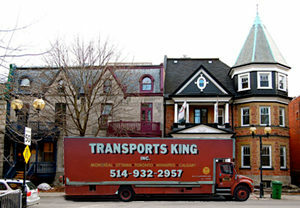 King’s Transfer has been moving families & businesses within the Montreal/Toronto corridor for over 70 years. We offer secure facilities in both cities to handle all your needs, and our staff is available to answer any of your questions about your upcoming move. We offer experienced moving crews equipped with clean trucks and all equipment required handle your move you safely between Canada’s two largest cities. Moving blankets to wrap your furniture, plastic wrap to protect your upholstered items, tools to dismantle and reassemble anything required for safe moving. Kings’s has regular truck routes scheduled within the Quebec & Ontario regions to expedite the transport of your belongings in our secured fleet. King’s Transfer Moving is fully insured not only to protect your valuable goods, but against property damage and all our staff are covered by both CSST & Worker’s Compensation Insurance Board. 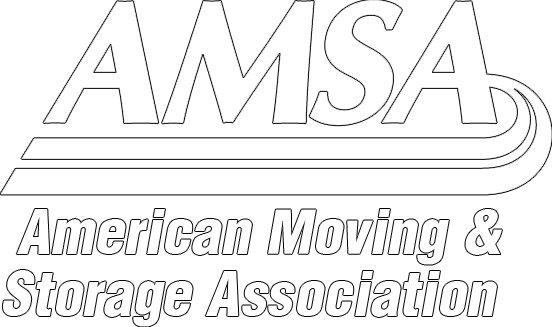 We are a member of the Canadian Association of Movers promoting excellent business practices within the industry, and we have an A+ rating with the Better Business Bureau! As professional movers we have trucks of all different sizes to handle jobs with different needs. If you require storage short or long term, we can supply that as well. If you require packing or crating service, we have you covered with our climate controlled warehouses in both cities. Let King’s Transfer Moving get you moved. Trust our 70 years of experience operating within Montreal & Toronto and give us a call. We are friendly and knowledgeable and you will see the difference the moment you speak with one of our representatives. We are here to help & we are here to move you. I was not sure how it would be moving to Toronto, and was more than a bit nervous. Your guys took care of it all! I was blown away, and would gladly recommend King’s Transfer Van Lines to anyone moving from Montreal. Thanks! Très satisfait avec les déménageurs qui m’ont déménagé à Toronto. Super groupe de gens qui y travaillent. Merci! Montreal is connected directly to Toronto via the 401, one of the busiest highways in North America. Along with direct rail terminals, and the St Lawrence Seaway which allows unprecedent flow both of talent & trade between the cities. During the 1970's there was a major shift in corporate head offices from Montreal to Toronto due to language issues. The era also saw an exodus of over 350,000 residents from Montreal, with a large portion relocating directly to Toroto following the corporations. This is a key factor that resulted in Toronto becoming Canada's economic center. Toronto offers some of the largest manufacturing, technological, and corporate position opportunities. The industries here are constantly looking for bilingual employees with Montreal being the valued source for most of the position fullment. Montreal's large number of university graduates creates another resource pool for these relocated industries - that no other city in Canada can provide.